Lilly 3.5 HD Color Portable Video Magnifier - 3.5 Hrs. of Battery Use! 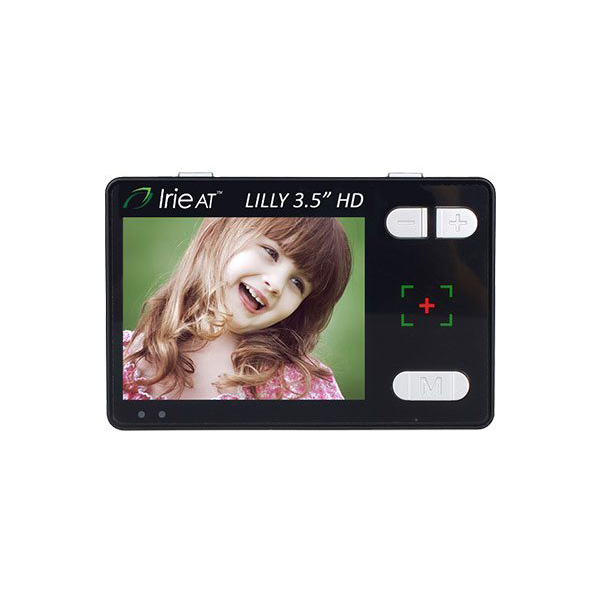 Lilly 3.5" HD Color Portable Video Magnifier - 3.5 Hrs. of Battery Use! * Easy to use: The Lilly 3.5″ HD has 5 intuitive buttons that you can actually feel. * Foldable writing or reading stand – complete forms, sign checks and more! * Lightweight – less than 1 pound! * Replaceable battery offering 3.5 hours of continuous use!